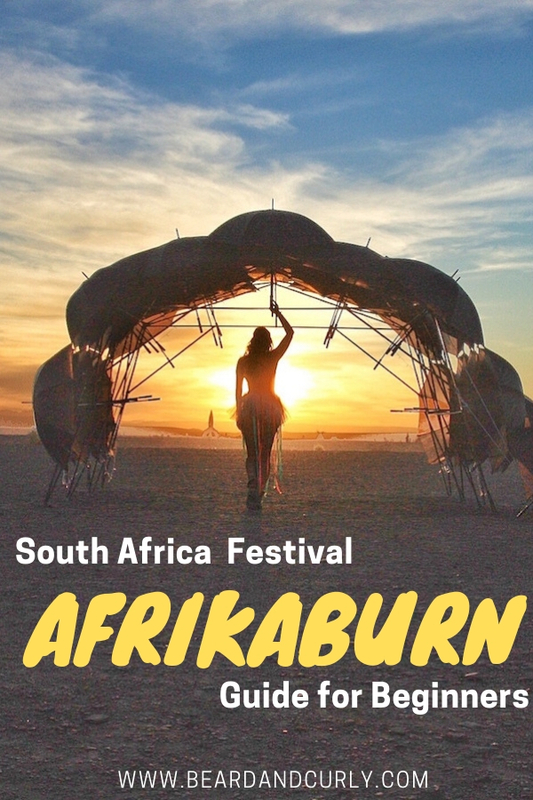 AfrikaBurn is a festival in South Africa, part of a regional event for Burning Man. 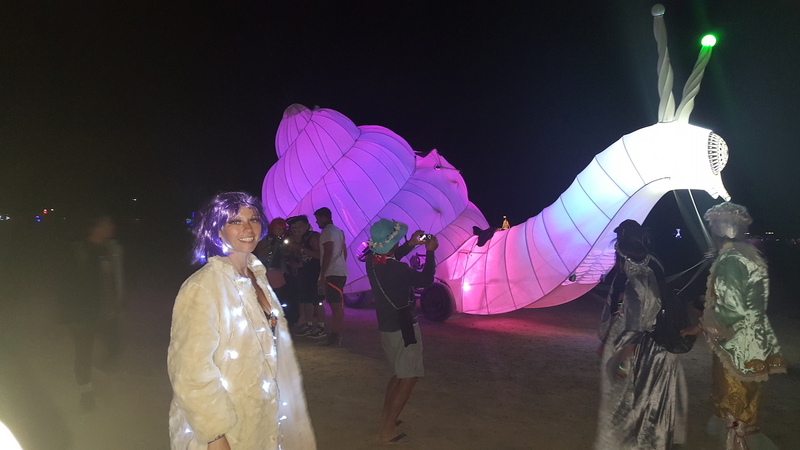 As a first timer to AfrikaBurn, there are lots of things to prepare for. If these events are new to you, there is a lot to understand how these festivals work. 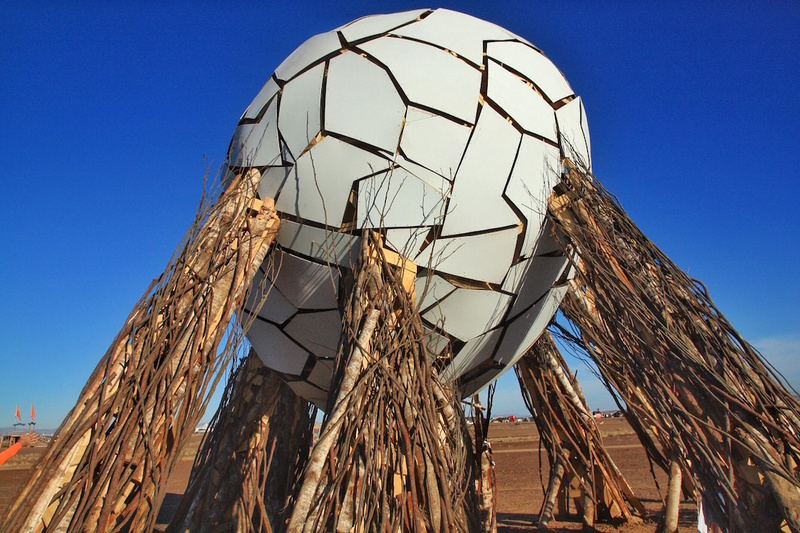 Similar to Burning Man, AfrikaBurn is a festival of artwork, music, and community, yet on a much smaller scale. It was started in 2007, yet attendance did not pick up until 2012. 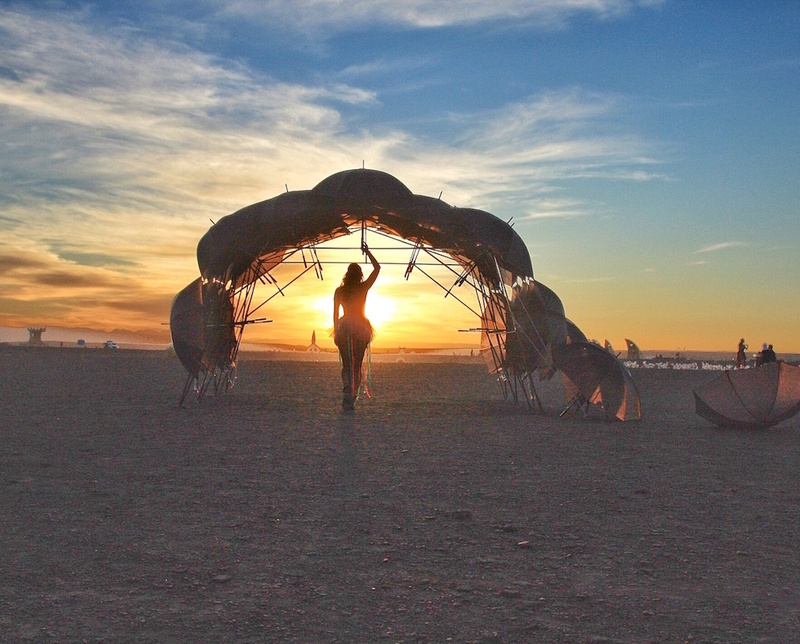 With roughly 12K people attending, this festival is the perfect size for burners from around the globe. 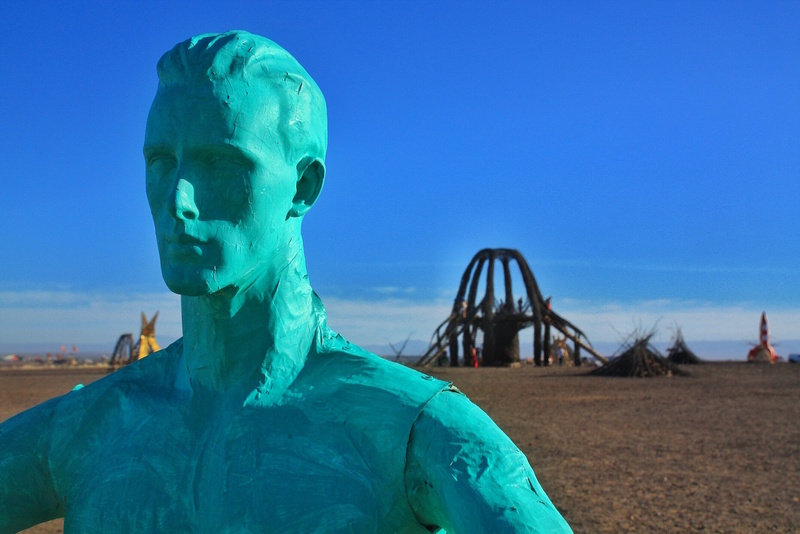 In comparison, Burning Man in the U.S. had 70,000 people attended last year. I have put together a guide for beginners and first-timers on what to bring and how to prepare. Don’t forget some key things. 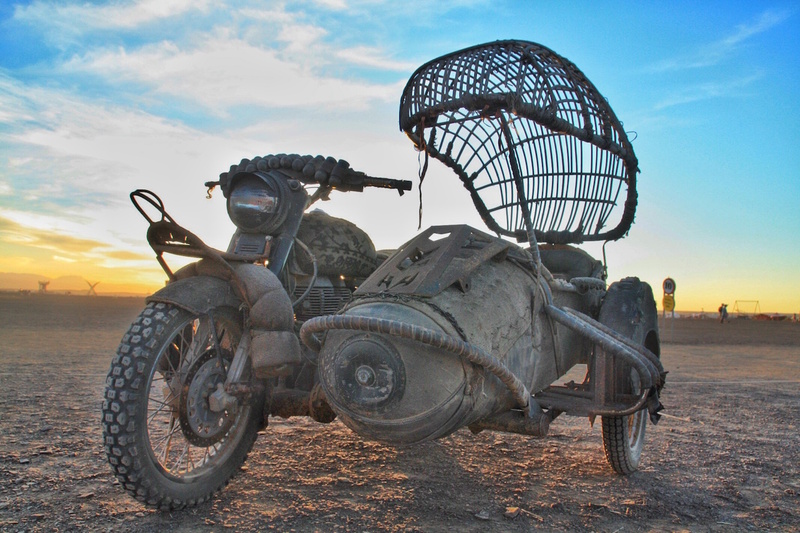 You will be camping in the desert, in rough condition, with no use of money, no store nearby, and you need to bring everything for the entire stay. AfrikaBurn is a week-long festival filled with art, music, giving, and lots of entertainment. One of the highlights is the burning of several artworks at the end of the week. There are eleven guiding principles which signify what the festival is about. A requirement is they ask that attendees to live through these principles while at the event (and hopefully after too). The two principles I believe really stand out are radical self-expression and leave no trace policy. The entire idea behind this event is to encourage self-expression and to really let the creativity flow. During and after the festival, there is a leave no trace principle. This requirement is to make sure nothing is left, as if the event never took place.Click here for more info on different festivals in South Africa. It is possible to join a camp or attend individually. Joining a camp gives different perks, which may include a cooking area, shower, water, or an assortment of other things. Some may need some “working” or gifting hours in support of the camp. It may be good to join a camp for these benefits, but possible to go solo or with a small group. In that case, it puts all the planning onto yourself. Want to join a camp, but not sure how? First try the AfrikaBurn Facebook page and message the entire group, someone will surely reach out to help. Whether joining a camp or not, a lot of planning is involved. Follow this guide for information on all the necessities for the week. Where is it Located: Located in the desert in Tankwa Town, off the R355, roughly 5 hours from Cape Town. Keep in mind, the location is in the desert. That means hot days, cold nights. It also is dusty. Very dusty. Drive carefully on R355, the road is lethal to car tires. When is the Event: The end of April with slightly different dates each year. Water: Expect to need 5L per person per day. This is water for drinking, cooking, cleaning, and to use for bathing. This goes without saying. This is the desert. It is not possible to buy anything at the Burn as money is off-limits. The only exception is ice, which is available for purchase daily. Camp Gear: Tent, sleeping bags, blankets for cold nights, a mat for doorstep, and its good to bring some lighting for inside and around the tent. Bring camping chairs, blankets, pillows, anything that may be needed for a week in the desert. Any type of shade structure is a god send, so definitely bring it along. Food: There are some camps who gave food as their gift, but don’t expect huge portions. Some camps gift pancakes in the morning and some snacks and small bites in the late afternoon. If part of a camp, many camps bring kitchen setups. As for food itself, it gets very hot during the day so bring food that does not spoil quickly. Ice is available for purchase day between 10am and 1pm for 20 rand, so bring a cooler. Bicycle: While it is not needed, it is nice to have a bike for transportation around the event. Make sure to bring a lock for the wheel and lock it up. No need for any spare tubes or parts, there is a bike shop at the event. We ate granola, fruit salads or omelette for breakfast. We made salads for lunch, with beans, tomato, avocado, lemon, and some salt and spices. For dinner we would cook pasta or veggie stir fry. Some camps may have a braii area to grill vegetables or bring meat/sausages if planning to buy ice. 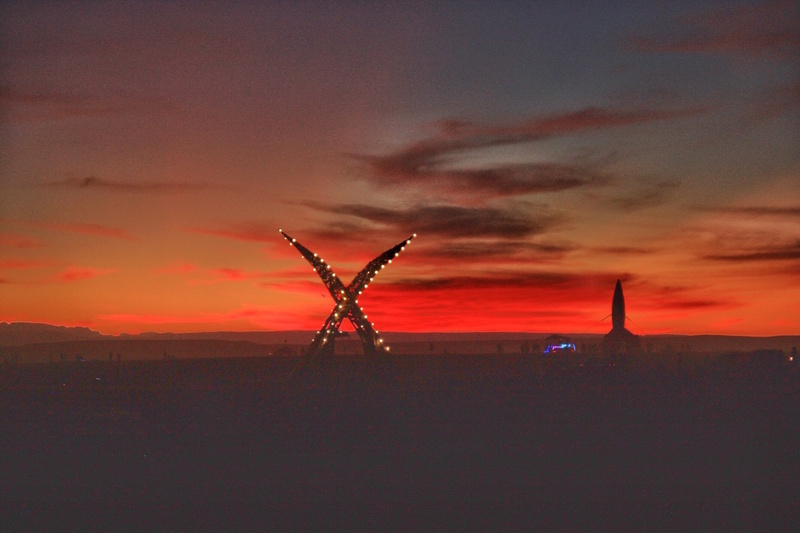 The Burn is a place to express oneself. People are not there to judge, that’s the beauty the costumes/outfits. Have one, or several, for different occasions. Several days have a theme such as tutu Tuesday, punk day, and purple wedding Saturday. Getting creative is part of the fun. Go to a thrift shop to buy some unique outfits before heading to the burn. If your choices leave you uninspired, there is a theme camp that has costumes and accessories to borrow from. One of the guiding principles is gifting. This is a huge part of the Burn experience. Do no confuse this with bartering. If someone gives you something, you do not need to give them anything in return. A thank you or a big hug will suffice. The idea is simple, gift as you wish (and as much as you can!). It is encouraged to keep up this philosophy throughout the entire festival. 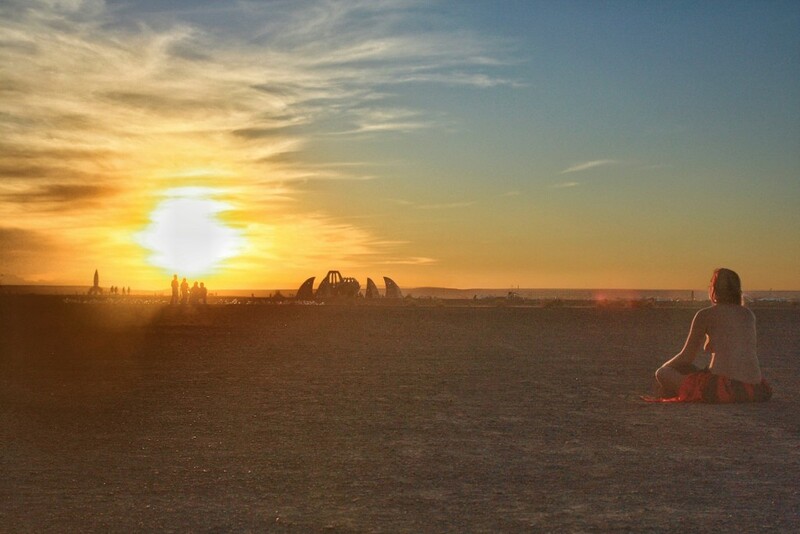 Check out more information at www.afrikaburn.com or www.burningman.org.